Spam is anything (it could be an email, advertising, website link or anything else) which is annoying to an internet user and it is one of the biggest issues in this digital era and can also lead a user towards hacking. It could also be a single text message that contains unpleasant advertisements and is sent to the recipients who never agreed to receive. 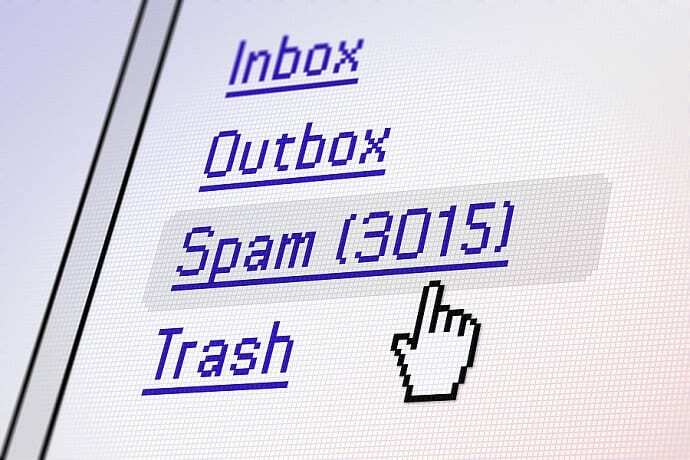 It is always hard to prevent spammy messages or emails once you are on the list of spammers, but there are several ways to avoid spam when using the internet and some of them are listed below in this article. Chances of getting spammed are always higher when your email address is easily available on internet whether in your social media profile or on a directory website. So always make sure you are not revealing your email address anywhere on the internet and if it is necessary to communicate then also make sure how it would be used by the company or website with whom you are about to share. Whether you are commenting on a blog post or about to take part in a survey with your email address, understand how they will keep your email address safe from third parties to help you prevent spam. Using different email accounts is one of the best ways to avoid spam when using internet. Always keep your business emails away from personal accounts by making a new professional email account. If you often subscribe for email lists or use email ID for other purposes, it would be advisable for you to make one more for this purpose to stay away from spammers. Try to use a third email address when subscribing for a newsletter, commenting on blogs or providing your feedback etc. Turn off the read receipts and images immediately if there is an option available with your email service provider. In this way, spammers will be unable to detect whether their emails are read or not. Turning images in your email messages off is the best possible way to prevent any type of unwanted advertisements sent from the spammers. Use of the spam filters is the best way to prevent email spam as it can block all the spammy emails and will only send the useful emails to your inbox. Simply find out the best spam filtering service and implement with your personal or business email address to keep yourself away from spam email messages. As a regular internet user, if there is a request from a website or any other online source to contact, always ensure to use contact us forms instead of posting your email or any other personal details there. Through this way, you can easily prevent spam and cyber security threats as well. If there are some emails in your inbox with strange or anonymous details, never ever reply back to them as these can be the messages sent from spammers either to hack your personal details or for the purpose of identity theft. So, always respond to the emails that are known to you in order to avoid spam. If more than a few ‘contact us’ or other forms are published on your website, then try to use CAPTCHAS for each of them, in this way, you can meaningfully lessen the spam activities on your site to keep it safe from search engine penalties and other security related issues. Making your site secure with HTTPS protocol should be one of the major concerns not only to prevent spam on your site or blog but to ensure users safety as well. A site which is not using the SSL certificate is very easy for hackers to hack or steal useful data from the database. Nowadays, Google is loving the sites with HTPPS protocol as the world’s biggest search engine always prefer its users’ security when providing appropriate results to their queries. If you have disclosed your email address anyway the best way is to use a spam filter. Spamdrain is a good option to choose.